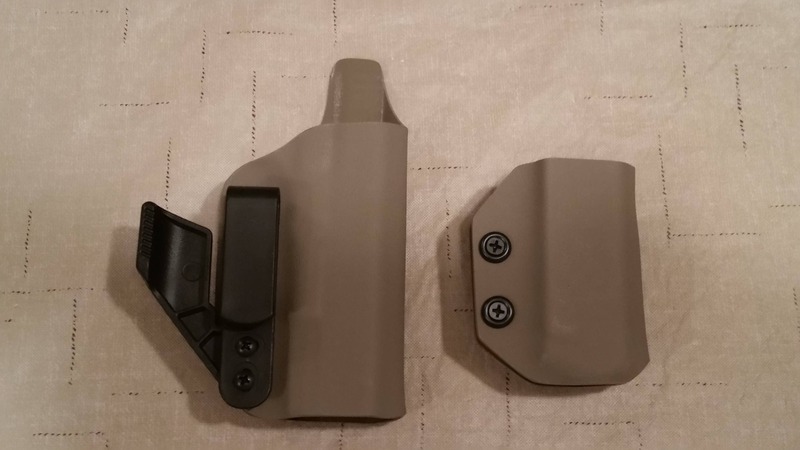 This Combo includes our IWB Holster and our IWB Mag Carrier in one great Kit. 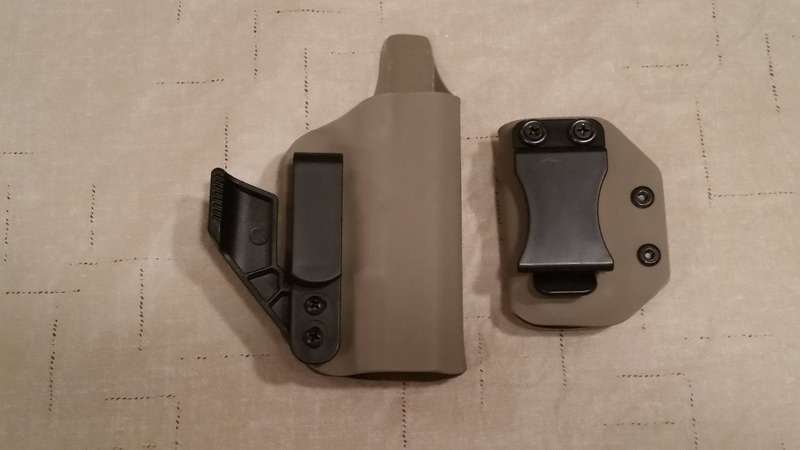 Our IWB holster is made of .08 thick quality Kydex materials, it has adjustable retention and a 1 3/4'' belt clip that allows you to adjust the cant to the way you like to carry your firearm. 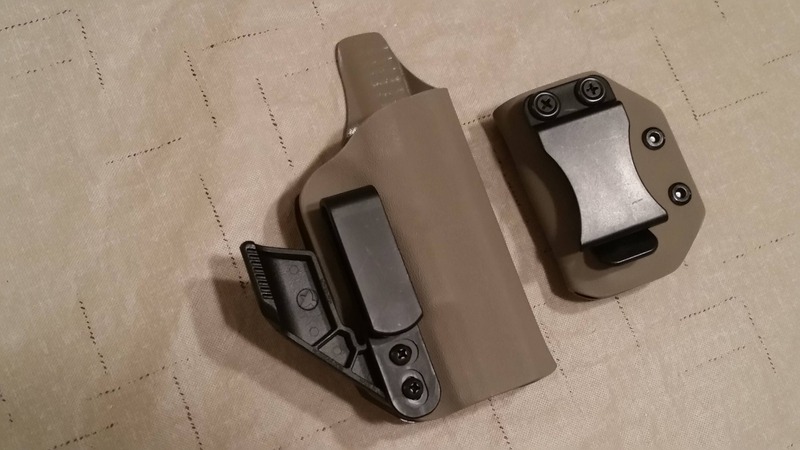 These holsters are made with a Vanguard claw that is made to create leverage for the grip of a pistol and assists in keeping it close to the body, without disrupting the draw. The Mag Carrier comes with a 1 3/4'' quick clip, blackened S.S. hardware, finishing washers and also comes with adjustable retention.